The frameworks help programmer to build an application rapidly and efficiently while decreasing the security issues. Today I am going to install and configure Zend Framework which is one of the most powerful PHP framework that is being used around the globe. Magento, the most famous e-commerce CMS, is also build with the Zend Framework. Learning Zend Framework will help you understand Magento also and you will be able to code for Magento as well. 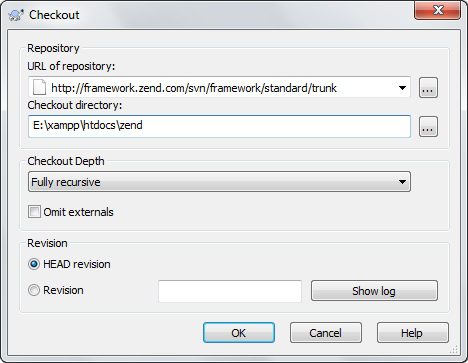 First of all you can download the latest version of Zend Framework from the link framework.zend.com/download/latest. You can also download the documentation here that will help you with development. For Newbie to SVN: Install the Tortoise SVN create a new folder, right click on it and select SVN Checkout enter the above URL in URL of repository field and click OK. Note: I added a folder “frameworks” and put the zend library in this files. 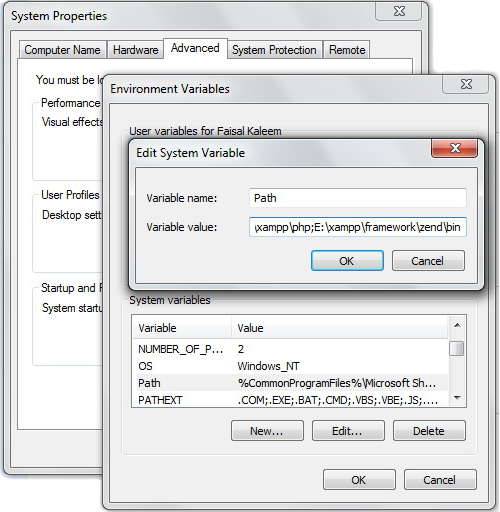 You need to set two environment variables one for php.exe that is located in PHP folder and the second one for the zf.bat (For windows). To do this go to the Computer Properties and add these two paths. In my case I have added two following path. See screen shot. Note: Adding the path info in environment variables will enable you to run Zend commands form the Command Line. 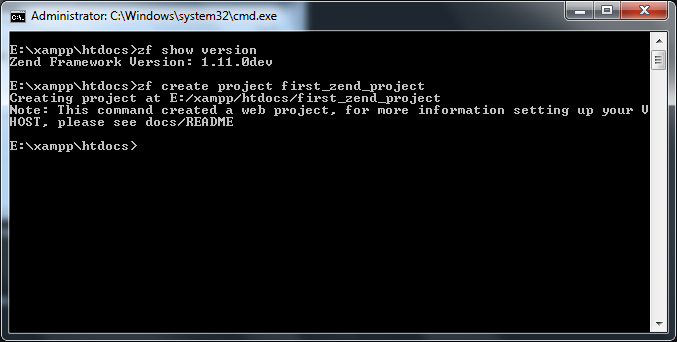 If the following command shows you the Zend version then you have done all successfully. You can get help of of the command line tool by executing zf --help. This will show you all the possible command and parameters. The above command will create and directory “first_zend_project” and will create all the necessary files and you can now start coding.